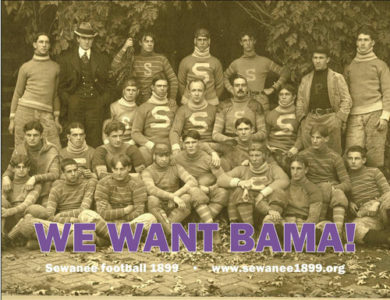 BE A PART OF SEWANEE’S SPECIAL HISTORY. HELP US CAPTURE THE STORY AND DYNAMICS OF THIS REMARKABLE TEAM IN A FILM DOCUMENTARY. PURCHASE WE WANT BAMA POSTER TODAY! 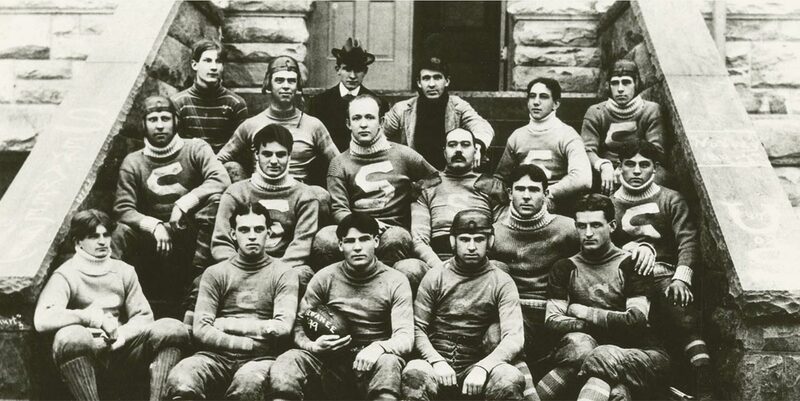 SEWANEE’S 1899 FOOTBALL TEAM IS THE ULTIMATE DAVID & GOLIATH STORY. In the 140 years of college football, nothing else comes close to this team and its season. But most Americans don’t know this story. Even most Sewanee devotees only vaguely and partially grasp its drama and significance. An effort is underway by a small team of filmmakers to remedy this. The goal is to produce a compelling, historically accurate, insightful, riveting documentary film on the team, the season, and the rare convergence of talent, personalities, and drive that made Sewanee’s 1899 season truly legendary. 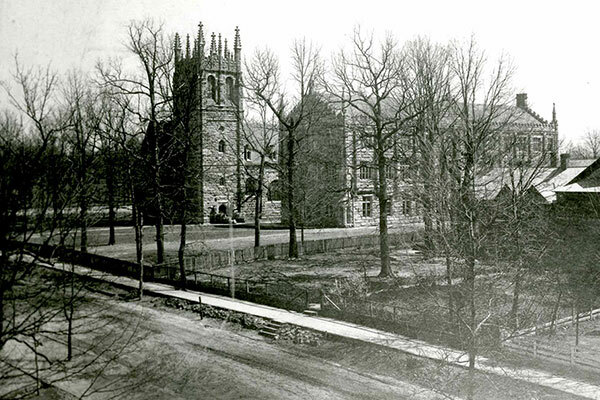 BE A PART OF SEWANEE’S SPECIAL HISTORY. HELP US CAPTURE THE STORY AND DYNAMICS OF THIS REMARKABLE TEAM IN A FILM DOCUMENTARY. Please view the attached trailer for the film which provides you a glimpse into this dramatic story. As you will see in the trailer a handful of interviews have already been conducted but this is only the tip of the iceberg. The filmmakers, both Sewanee graduates, have put their personal resources into the trailer and the early research, interviews, and filming. But to make a feature-length, broadcast quality documentary film, that will tell the story in all its drama, we need your financial support. The glue of the team was the manager, Luke Lea. He was an undergraduate student who hired the football coach, recruited players, scheduled games, arranged travel, and managed the team and the equipment. He was essentially the athletic director in the days before athletic directors existed. 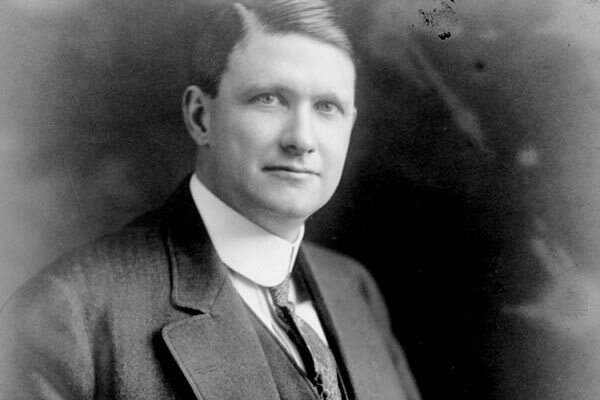 His achievements in 1899 foreshadowed a fascinating life—owner of the Nashville Tennessean, youngest U.S. Senator, and World War I soldier who plotted to kidnap the Kaiser. 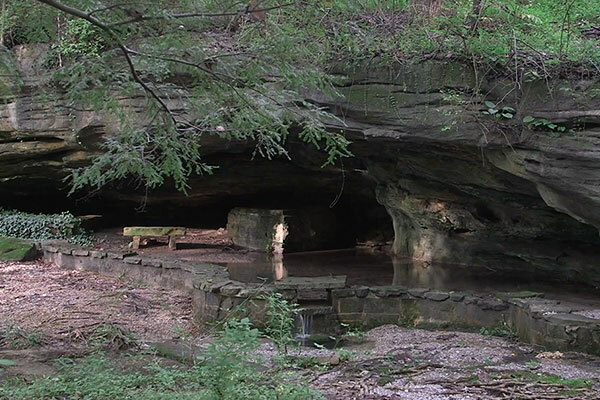 Trickling out of a cave on the domain of the University of the South in Sewanee is a small spring called Tremlett Springs. On the daring train trip that included stops in Texas, Louisiana and Mississippi, the team took two barrels of spring water to ensure their health. As the victories mounted, the water took on a mythic aura of being “magical” water. Tremlett Springs still flows quietly in Abbo’s Alley. To learn more about the University of the South, visit www.sewanee.edu.